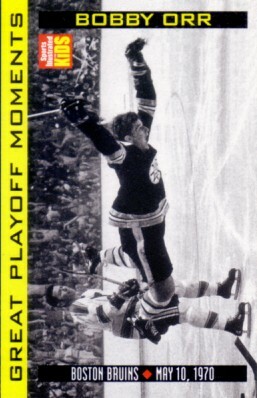 Sports Illustrated for Kids card of legendary Boston Bruins Hall of Famer Bobby Orr distributed exclusively in one 1998 issue. Slightly oversized, with typical perforations. ONLY ONE LEFT.